Lemon 6x, 12x, 30x, Orange 6x, 12x, 30x, Grapefruit 6x, 12x, 30x. In a tincture of purified water and 20% non-allergenic USP alcohol. Unless otherwise instructed by your health care professional, suggested usage reflects the manufacturer's recommendation for this product. Directions: (Adults) Normal dose for the first week is 2-3 drops in water three times per day. 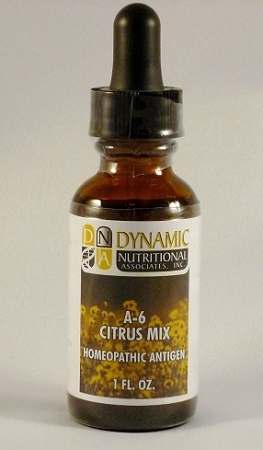 Add 1 drop per dose per week until a total of 10 drops per dose is reached. Take between meals. Store in a cool, dark place. These statements have not been evaluated by the Food and Drug Administration (FDA). These products are not meant to diagnose, treat or cure any disease or medical condition. Please consult your doctor before starting any exercise or nutritional supplement program or before using these or any product during pregnancy or if you have a serious condition.